Lets start back in the days when I first learned about biochar. I will admit that this is not the first thing that you retain after a biochar demonstration. Usually it how to light the fire or how to make a simple retort. I am guilty of having charcoal chuncks the size of a golf ball in my first biochar test plot. I did not learn until much later that size does matter. One expert in biochar told me that 1 cm square of charcoal has the same surface area as a football field and it would take the precious microbe all its life to travel from one side to the other. Another expert told me that biochar should be charcoal smaller than 2 mm so the worms can swallow it. Wow what to believe? So I purchased a microscope and spent a bit of time researching for myself. The conclusion Size does matter the smaller the better. Most of my charcoal comes out big really big so this brings us back to the question once again. How to crush charcoal into biochar? Well I can tell you the ways that do not work so well and then introduce you to my newest project. Mulchers / Chippers / Lawn mowers all have problems with uniformity. Grinders / mortar and pestle / smashing devices all have problems with quantities. Without spending too much cash there must be a way to do it easily. Anyone out there with the answer please comment and let us know. Remember it has to be as cheap as possible. 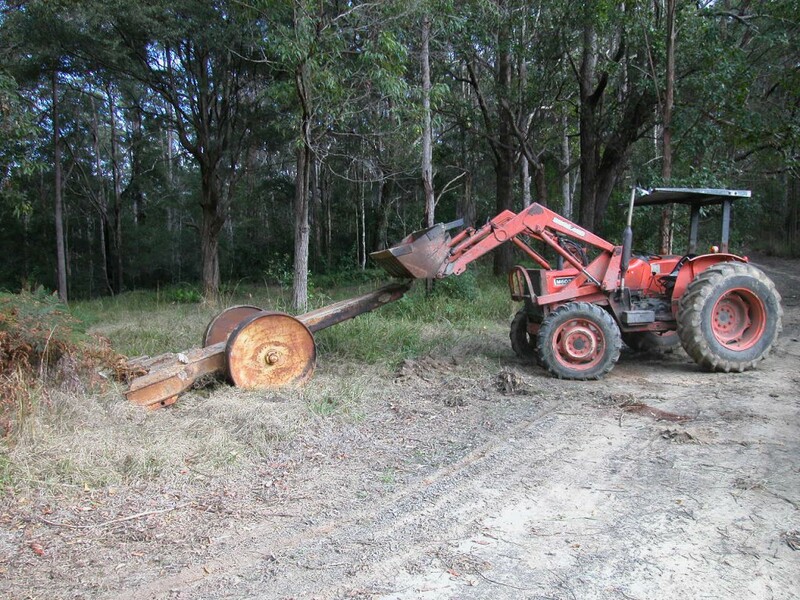 My bush mechanic training has served me well and for this project I used these concepts. Repair / Rescue / Reuse / Refashion and Rebuild. It all happened 2 days ago as I was taking a shortcut to the local shops on my postie bike through the property. As I began to break for the big hill I saw something out the corner of my eye and thought I better have a look. My brain said do not do it the shop will be closed in 30 mins. So I went back and had a look and discovered what I thought was the perfect charcoal crushing device. I still made it to the shops on time. Today I spent 2 hours resuing it from the clutches of the bush and depositing it out front of the biochar Industries Head Quarters. New Project while the mercury retrograde is on? Says my Astrologist. Of course not I say you will just have to wait 10 days before i start a new project. Have a sneak preview and try and work out what i am about to do. Update: Have a look at our newer posts on grinding char here. I think crushing of charcoal into smaller pieces should be done so that different sized chunks are sorted into batches of similarly sized pieces. 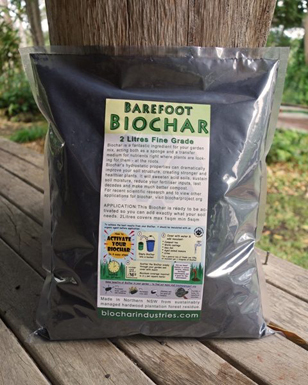 No need to turn it ALL into biochar! Some larger chunks can be most useful for many other things, i.e. hydroponics and aquaponics growing medium, BBQ-ing or cooking, blacksmithing/smelting. Maybe a series of rattling sieves with progressively smaller hole sizes could be used? Whatever breaks up easily into <2mm pieces becomes biochar. 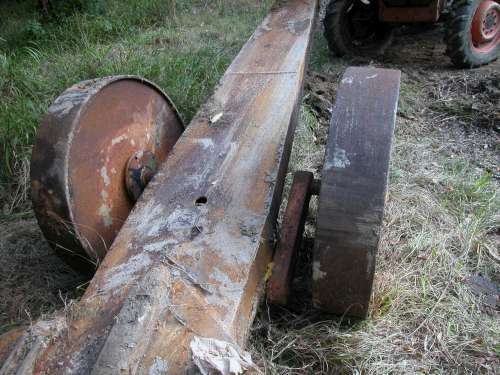 If you want to break it all up into small pieces, then consider taking the wheels off that big piece of equipment you found and let one or two wheels be driven around in a circle, running in a groove filled with charcoal, powered by wind power or an animal. Yo Dolph! Hail, Charmaster! 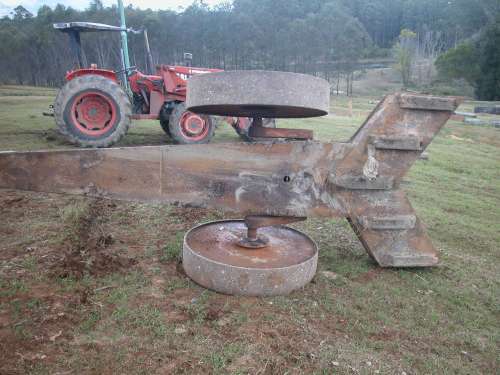 Whatever happened with this biochar crushing project? Looks like you found quite a nugget of gold there. Did the project get star-crossed, or did it just not pan-out? Have you tried getting a cement mixer, throwing in some chunks of…heavy stuff, and making a ball mill. My question is the opposite- how fine is too fine? I use between 10mm and 3mm for my gasifier- below that, I store it up and look for a local (Thames Valley, UK) biochar missionary. Hello Brian, Yes early in 2009 I got given a petrol cement mixer put a lot of different balls and bricks etc and found that it really did not do much. Your question how fine is too fine I believe even dust is good enough mate as even in a spec of biochar dust there is millions of holes once you look under the microscope. People in Australia prefer something that looks like soil in size. I am with Mr. Mik, I regard the use of carbon spewing implements as part in the biochar process, we lose much of the integrity of our work. It rather misses the point. We are creating a new paradigm that is local, not based on consumption of fossil fuels. To make everywhere liveable again requires stopping the expulsion of toxic fumes and devastating carbon, not just attempts to offset some of the implications of our addiction. I find that meat grinders, hand cranked, can be used effectively with most smaller pieces. I have enclosed larger chunks in a double bag of plastic (petro produced, I know, but they were reused several times before finding their way into this project I assure you), then several burlap bags and just wailed the heck out of it with a sledge against a herd surface. One certainly has no angst left after that I tell you! It worked well and produces small enough chunks to finish off in the grinder. The largest pieces are about the size of uncooked rice, but the majority is finer. What do others think about that size? Do you think that sieving is still necessary? I would also like to design something like a flour millstone with an aggressive toothed system similar to the meat grinder, but scaled up to accept larger sized pieces. For now, I have a clean source of sawdust and only char that, eliminating the need for grinding. Sadly, that means that my feedstock is produced with electricity that is mostly produced by coal, but it is within biking distance, another plus! Thanks for your comment it sure will help other researching how to grind char. To see the different possibilities. I am interested in crushing charcoal for use in the garden soil. Apparently you do not want it too small as it can blow away or get washed away. Although small size is useful as it increases the surface area. Some lumps the size of road gravel are also useful. I end up putting a mix of sizes into my compost heap, and let it sit in the compost heap for a few months. I have crushed the larger lumps with a half-brick in the past, but after reading the comment about using a concrete mixer, because I have an electric motor driven concrete mixer. I shall have to decide what to put in with the charcoal to actually do the pounding, and how long to leave the charcoal in the rotating concrete mixer. More experimentation is called for. Next post: electron microscope Images of Biochar Hi Res. 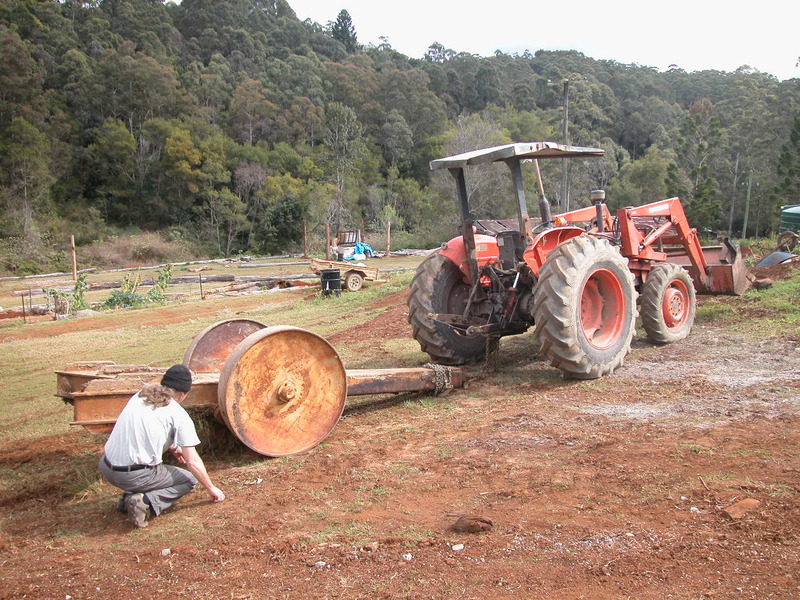 Previous post: Fun things to do whilst you wait for a biochar project.